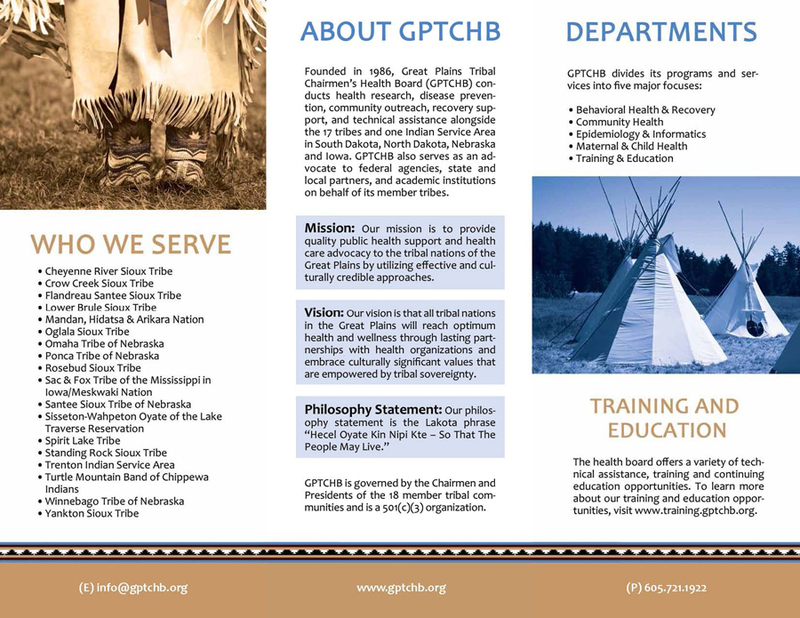 Established in 1986, the Great Plains Tribal Chairmen’s Health Board (GPTCHB) is an organization representing the 18 tribal communities in the four-state region of South Dakota, North Dakota, Nebraska and Iowa. Through public health practices and the formation of tribal partnerships, we work to improve the health of the American Indian peoples we serve by providing public health support and health care advocacy. Serving as a liaison between the Great Plains Tribes and the various Health and Human Services divisions including the Great Plains Area Indian Health Service, GPTCHB works to reduce public health disparities and improve the health and wellness of the American Indian peoples who are members of the 18 Great Plains tribal nations and communities. Providing policy analysis and recommendations related to Indian Health Care concerns, to tribally appointed representatives designated to deliver advocacy and testimony to Congressional and Executive Branch leadership. 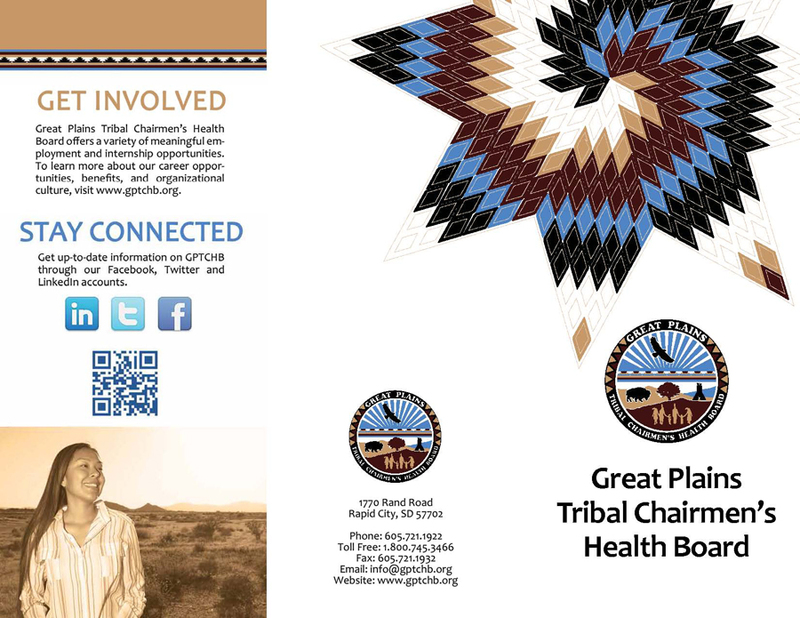 It is our vision that all tribal nations and communities in the Great Plains will reach optimum health and wellness through lasting partnerships with health organizations and embrace culturally significant values that are empowered by tribal sovereignty. United under the GPTCHB umbrella, our tribal constituents are able to compete for population-based grants and resources that may not otherwise be available to them. Through GPTCHB, tribes are empowering themselves to address their individual health resource needs in an effective way. To find out more, please visit our FAQ page.